Wakefield, MA, November 5, 2016 – Recapped by Mike Pelletier. It is always a humbling experience for me to go to the Run For All Ages and compete against the fastest 65+ runners in New England. Last year I was 11th in my age group; this year I moved up to 10th when George Geis who had been 10th last year moved to a new age group where he finished 4th, only 4 seconds out of 3rd. 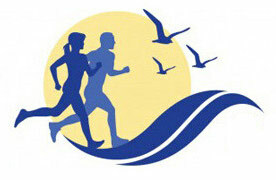 Joe Dasilva retained 1st place in his age group and Nancy Wilson retained 2ndplace in her age group. Lauren Hamilton is getting better with age and went from 3rd in her age group last year to 2nd this year. The best improvement in a year was made by Tom McMahon who moved from 11th last year to 4th this year in the M6569 age group. Bill Kobus and Linda Desjardins each dropped one place in age group competition, even though Bill ran the same exact time as last year. Linda fell only from 1st to 2nd and earned a silver medal to go with last year’s gold. Thank you, Mike, for taking the time to put this race into several perspectives. It doesn’t just fall into place by itself. I do have an affinity for races that acknowledge age graded results. Because I’m old :-).